It is no secret that ales and lagers are as good for cooking as they are for drinking, but the question is, which are the best ways to use them in culinary preparation? While the answer will vary from person to person, here are seven great ways to use beer in cooking that no one will debate against being put to the test. You probably already know about this one because it’s quite a common practice. Beer is added to batter to make it crisper and lighter; a little trick that makes fish and chips taste so much better. It might be better to use stout or maybe brown-ale if you plan to deep fry the fish. Aside from fish, you could try the “beer in batter” technique for onion rings, calamari and tempura as well. Mix beer, butter, eggs, spring onions and bed crumbs in the pan and chill it till everything sets. Add the mix to toast and begin grilling till the cheese until the rest of the items melt in. If you have never tried this before, you will instantly taste the added spruce on your first bite. It’s hard to find anyone who won’t appreciate a well baked chocolate & Guinness cake and if you know how to add the Irish beer to it just right, expect an added tangy flavor. Courtesy of Nigella Lawson, we do know how to do that and make the frosting look more finished. Turkey, chicken, pork, beef, lamb and just about any meat out there just tastes so much better, juicier and more tender after being braised with beer. Braise longer if you plan to shred it for putting it in tacos or sandwiches. If you want to use it in marinades, you may need some sticky treacle, ketchup and mustard as well. Generally, one would prefer white wine while cooking risotto, but if you replace the white wine with some beer, the effects are even better as it turns out! Bake a ginger-spiced cake as you naturally would and then soak it with some chocolate stout, before layering it with mascarpone cream. Check out the full recipe here. 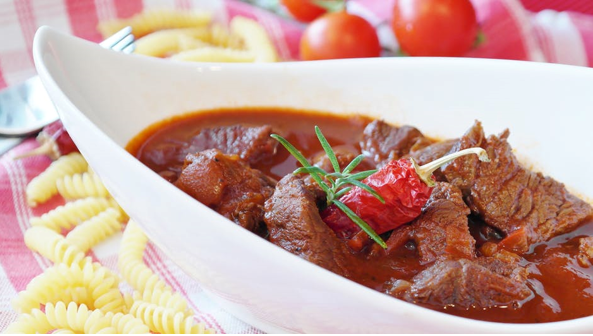 Originally called the Carbonnade à la Flamande, the sweet and sour beef stew from Belgium is quite a treat. Its unique flavor comes from an odd but tasty combination of caramelized onions and of course, beer. Although Belgian beer would be ideal for obvious reasons, any good lager will do as well. Once you start experimenting with the brew in your cooking, you might just find that there is no wrong way to use beer in cooking at all! However, the better the brew, the better the dish you are cooking will taste and that’s why you should opt for craft beer. Keep in mind that apart from cooking, the product should taste great on its own as well. Fortunately, Craft on Draft makes sure that there is no shortage of Kombucha Keg and Nitro Cold Brewing in Toronto and Ontario Canada, so it should not really be a problem.